from Peggy Senger Morrison and Alivia Biko. look over on the right hand side and quick link to the item you want. One moment with Peggy Senger Morrison—Quaker pastor, author, therapist, motorcycle enthusiast, mother, grandmother and founder of Oregon’s Freedom Friends’ Church—and the myth among non-Friends that Quaker women are quiet, gentle little creatures who go quietly into the night will be shattered forever. I don’t know how the myth got started, particularly since quite a few of our historical sisters harangued people in the streets and most of the women I know today are up to their elbows in social issues with Magic-markers, email, demonstrations, T-shirts, and letters-to-the-editor. But once Peggy Senger Morrison roars by on her 300-pound motorcycle or stands in front of a crowd in boots and leathers and begins to preach, I’ve no doubt our reputations will be framed more accurately. I had just moved cross-country from Vermont to California and was so battered by movers’ estimates, packing lists, inventories, boxes bigger than I was, and the California DMV—which refused to accept my Vermont photo driver’s license and marriage certificate as proof I am who I say I am—that I could hardly move. So when Le Flambeau arrived on my doorstep, I dropped my boxcutter, brewed a cup of tea, and settled on my little jasmine-framed porch to escape the chaos. The woman is a gift. Le Flambeau—literally, the “burning torch”—is a book of 100+ narrative essays and first-person stories that clearly show how one woman burning with the Light within is led and schooled as she ignites, sees what many of us miss, and moves through life touching every person she meets. The essays, some of which have appeared in earlier work, cover a wide variety of topics from spiritual disciplines for the 21st century to illuminating discussions of Quaker “proselyphobia,” noisy Quakers, and climate change theology. Some essays are short blurts of truth that Peggy has uncovered as she motors through life; others are longer weaves of Quaker thought and history combined with an understanding of human frailty and strength. Each essay is grounded in a personal story, a sense of Presence, a deep understanding of human nature, a no-holds-barred personal honesty, and a big helping of Peggy’s insight and killer humor. Her story-telling abilities are particularly sharp in a riveting and detailed 73-page section of individual stories based on her hair-raising adventures as a trauma healer in Africa. Buses in Kigali that drop off cliffs, toilets of slippery poles that must be negotiated with the balance of a tightrope walker over a pit in Congo, and driving in Burundi add the kind of on-the-ground detail that allows us a glimpse of the beautiful human beings in Africa Peggy meets—and whom we never seem to hear about on the nightly news. But it is particularly in her stories of churches and meetings both in Africa and here in the United States that Peggy shows us who we, as Friends, can be. One day, a man, accompanied by a little boy who seemed to have some degree of autism walked in. The boy, Peggy says, immediately and loudly said, “Oh no! Not Church! 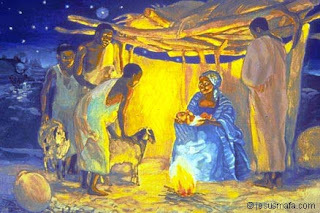 Don’t want church!” And when Peggy greeted the two, the father confessed his fear that attending a church wouldn’t work and they might not be able to stay. Peggy urged him to try, and the man and his son sat down. For the next hour, the boy yipped, muttered, exclaimed and moaned. And in the midst of his offering, other vocal ministry rose from those gathered. Clearly the man knows her. Ellen Michaud is the editor-­at­-large for Live Happy Magazine, and the author of Blessed: Living a Grateful Life, which was named the #1 spiritual/inspirational book of the year by USA BookNews. She is also an alumna of the School of the Spirit’s program on contemplative living and prayer, a past writer­-in­-residence at Earlham School of Religion and the former book review editor of Friends Journal. Dressed in a complete boy's suit from top to toe, a rather pretty 17-year-old north side girl was arrested yesterday by Deputy Sheriff Roddy, and soon thereafter was taken to the county farm where she will be held until the county court can take proper action concerning her case, which it is expected will result in a sentence to the State Reform School for girls at Morrison. This is the same girl who six weeks ago, after being missed from home for a week, was found doing man's work for the Fitts Manufacturing company. At that time she had secured a horse and buggy and driven eight miles in the country to the home of a family she knew; there she appropriated a serge suit belonging to the young man of the family, and after bobbing off her luxuriant head of hair, came to town and secured and up-to-date boys' haircut. She then hunted a job and got it. Upon being discovered, she was returned home. Last Friday, after having been given $85 dollars by her mother to pay bills (which she did not pay) and after "borrowing"$20 more from the home, making a total of $105, she donned the suit she first wore and went down town and bought a complete set of boy's attire, including toilet articles, candy, gum, pocket knife with "loud" pictures on the handle, and watch and fob, secured a room on Union avenue, and was probably hunting a remunerative job. Roddy hove across her path and took her into custody. This girl belongs to a good family, has a good and prosperous home, but she just wants to be a boy. A Redeemer is someone who has both the right and the power to set something right. 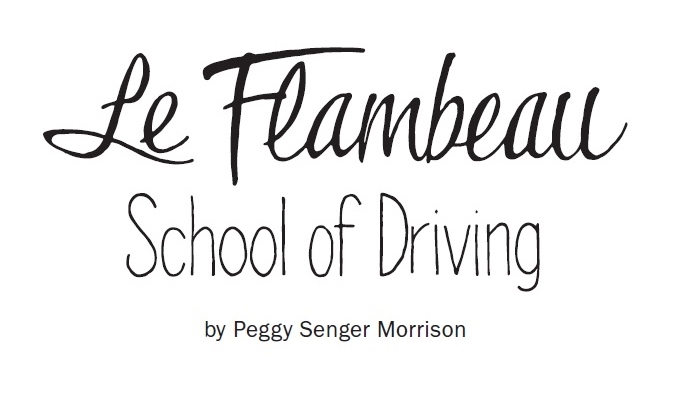 Le Flambeau School of Driving has some previous material in it that some of you have already enjoyed. 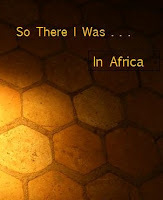 My previous books So There I was and So there I was in Africa, have a name on them that I no longer live by. It is my desire to redeem this situation. I want to make you a deal. This presumes you can cross my path and turn in the old titles to me. If you cannot see me this summer, You may still take the deal, but you will have to cover shipping and you will have to be willing to dispose of the old titles in a way that I approve. 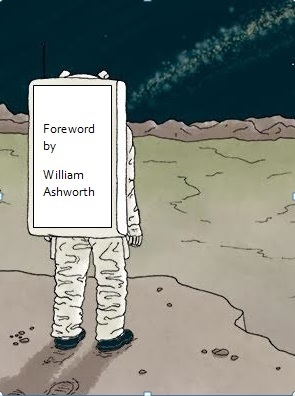 Critically acclaimed environmental author William Ashworth holds an Oregon Book Award for Creative Nonfiction (1999) and a Kansas Notable Book Award (2007). A committed Quaker, he has held numerous positions in both his home meeting and in North Pacific Yearly Meeting. I first met Peggy Senger Morrison in the summer of 2002. The Annual Session of North Pacific Yearly Meeting (Unprogrammed) was held that year on the campus of Oregon State University in Corvallis, and Peggy had been called to be our Friend in Residence ( keynote speaker). An Evangelical Friends' pastor, from one of the most conservative Yearly Meetings in the United States, chosen to keynote the annual gathering of a group of fiercely pastorless Unprogrammed Friends from one of the most liberal Yearly Meetings on the planet? I was very curious to see what would transpire. I was not disappointed. Striding into view in red python-skinned boots, long hair flying behind, she roamed the stage like a caged panther while presenting a thoroughly Biblically-based, Christian message to those thoroughly non-scriptural, Universalist Friends. Speaking without notes, as the Spirit moved her, she was nevertheless concise, organized, erudite, and challenging. [This book] began life as a series of columns for United Press International. 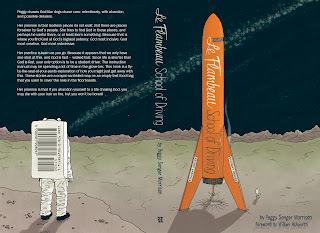 In 2009, she put a number of those columns between two covers and titled the resulting book "So There I Was..." I picked up a copy at North Pacific Yearly Meeting's bookstore the next summer and was blown away. Here was a book that truly "spoke to my condition." The language was pithy, sassy, often self-deprecating, and so true it was positively painful. The first section, "Spiritual Disciplines for the 21st Century" became my personal guide. I began buying copies of the book in bulk to distribute among my relatives and friends. Then came the news that "So There I Was..." would cease publication. Peggy came to the 2014 Annual Session of North Pacific Yearly Meeting - on her motorcycle again - to do a book signing for "Miracle Motors: A Pert Near True Story." I bought a copy and read it. A good book. It contained a lot of my favorite stories from "So There I was...." It contained much of value and interest beyond those. It did not contain "Spiritual Disciplines for the 21st Century." I emailed Peggy, offering to edit a new edition of the older book for free if she would bring it out again. She accepted. And that is how the volume you now hold came to be. If you haven't read "So There I Was...," by all means read this book. 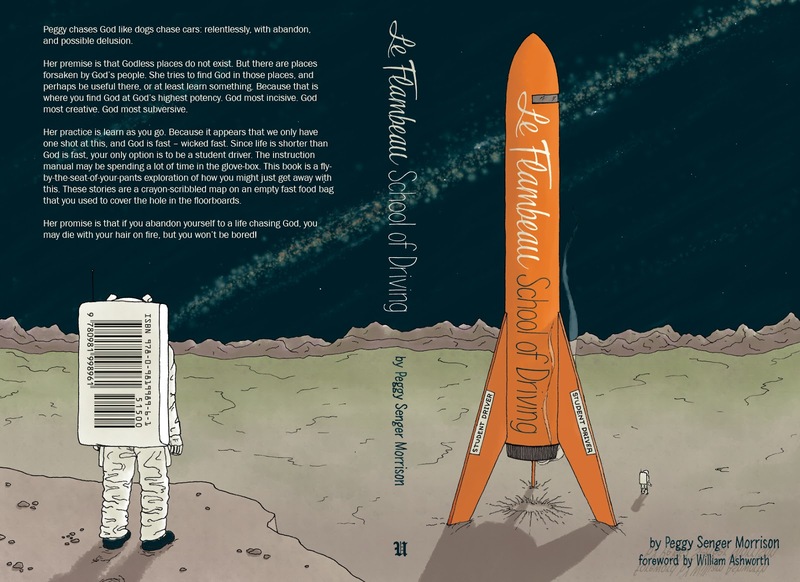 If you have read "So There I Was...," read this one anyway; in computer terms, this is version 3.0 to the earlier book's beta. If you have read and loved "Miracle Motors," read this for the insights it will give you into the roots of that book; if you are a Quaker, read it for the insights it will give you into your own faith. If you have never read either "So There I Was..." or Miracle Motors," have never heard of Peggy Senger Morrison, and think Quakers died out in the 19th century or live on only as oatmeal and motor oil, read this book and prepare to have your head explode. And if you are one of my relatives and/or friends, beware. I am going to start handing out copies again. I do love me some remix. 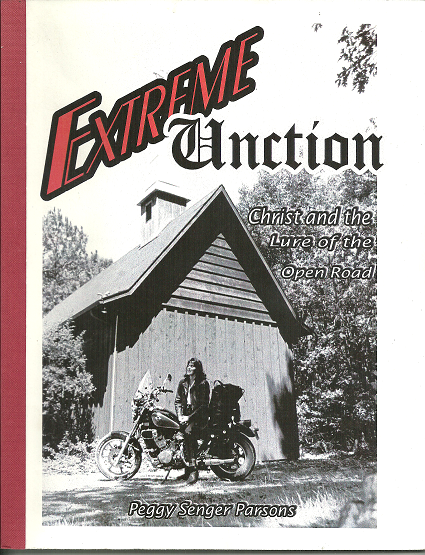 In 2014 I re-mixed my 1998 motorcycle story, Extreme Unction, with some select parts of my UPI column/2009 book, So There I was… , added in a healthy dose of fresh, wrapped it in a Buerkle cover, and called it Miracle Motors: A pert Near True Story. This left me with a partially gutted STIW, an out-of- print STIW in Africa, and a bunch of worthy blog posts from 2010-1015. I have taken these things, written another healthy dose of fresh, and wrapped it in another beautiful Buerkle cover. But the new thing is not just a conglom. Remix is a dynamic thinking process. It helps me to find the threads of truth and beauty in divergent sources. During the last two years of work on this project, I have named my charism, found the threads of that theme in my extant writing and then fleshed it out. If Miracles Motors describes my faith and how I came to it, then this new book describes my practice, and how I think it can be replicated. There are not many legally tellable stories from The School on the Island of Misfit Toys, but this one I will tell. About two weeks ago I started to clench and breath shallow. My anxiety rose day by day and hour by hour. This is not normal for me. I tried all my tricks, they did not work. I took it to the Silence, and I heard "Sometimes impending joy can cause as much fear as impending doom." I started looking for impending joy. Last Monday it occurred to me. There was indeed an impending miracle. I researched it like the Vatican Saint Checkers. It held up. But the time was not full and I had to wait. Waiting is hard. What had dawned upon me was that I had not kicked any student out of school this fall for a behavioral issue. This is my most hated part of my job. Occasionally one of them need this lesson and when they do, I teach it, but it hurts my soul every time. But this fall? No, not one. Not in any of our programs. No serious threats, no weapons, no fights. No cussing out of teachers. No expulsions, not even a hearing to consider it. Behavioral contracts had been issued, but not one was broken. I had been so busy feeding the flock that I didn't notice that the wolves were striking out. I saw this miracle coming in a translucent form. It would not fully manifest for another seven days. Seven days for some one to blow up. The sabotage of their own success is written into these kids scripts. Seven stressful days of finals and holiday build up. This group does not always relish the holidays. I watched them like a mother hen. I checked in with all the usual suspects. I am just superstitious enough that I felt I could not tell anyone. Last Thursday I had to call the child abuse hotline, and write up two Title IX reports, but my lambs were victims, not perps. Then the GED building was out for break. Monday the Day HS completion group was hours from going out when we caught a cheating scandal, but - Low and Behold! - they came clean and took their lumps and we kept them in. The Day School went out. This afternoon was torture. I just took the radio out and walked. Mid afternoon I broke and told the Dean. She didn't believe me, I checked the attendance grids again. 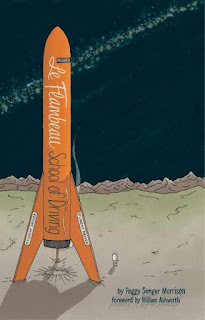 She said she couldn't remember it ever happening before.Tonight at 5:30 the Swing Shift School was having their sacramental crappy five dollar pizzas we always buy for the last supper. I told them. I also told them that they had only 2 hours to be really bad - they laughed and went and took their final exams. I stood at the flagpole at 7:30 and watched the last one catch her ride. And then I listened to the Angels sing. In the Spring of 1998 I took a little motorcycle ride. To San Antonio, Texas and back. It was fun. I had some interesting experiences there and back again. I did not have the good sense to shut up about it. My friend Marge Abbott started pestering me about writing the stories down. As Christmas rolled around I decided to write the story and make a few copies for my nearest and dearest as Christmas presents. My daughter Emily, a senior in high school, did the interior design and the cover for what became Extreme Unction: Christ and the lure of the open road. I was fond of the cover then and and still am today. I made the books at LazerQuick. The first run was about 20. The recipients were not discreet enough to keep it to themselves. I made a batch of a hundred, and asked for money. I figured that would dry things up. Then I made another hundred, or two. Then I got tired of that and refused to make any more. Barclay Press publisher, Dan McCracken, and one of his board members took me to breakfast at the Donald Cafe, and told me that it was good. And with work, publishable. But not by Barclay Press, because motorcycle travelogues were not really their thing. At their insistence I put together a book proposal, which was ignored by many. I was relieved. I was doing more preaching, and I never write sermons down before the speaking of them - very bad juju. But people thought I did, and kept asking for the messages. Bob Rodriguez, editor of a small town newspaper, offered to edit them if I would try and write them down after the fact. Marge thought this was a good idea. Alivia helped me print and mail them out. 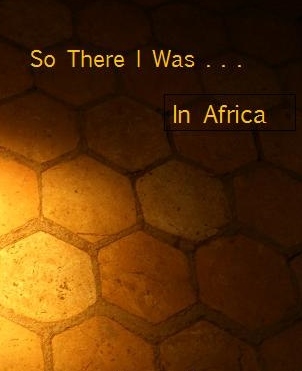 Then I ran off to Africa, which generated a couple more stories. I tried the blogging thing, which had the advantage of not involving late night runs to LazerQuick. In the winter of '06 Pamela Calvert forwarded me a call for writers. United Press International wanted a broad spectrum of weekly religion writers for a spirituality page to appear on line. I sent them a column-length piece, expecting to be ignored. Within 24 hours I heard from Larry Moffitt, VP UPI. I had a gig. I tried running off to Africa again, but Larry just sent me off with press creds, and I posted from the field. When I had two years of columns done, I quit. But 100 columns makes a pretty good book, so I had it printed up by a real printer. Batches now came 250 at a time. I think I did it three times. People said they wanted more about Africa - so I did one about that. I tried making a book of ten years of sermons. Alvia painted me a very pretty cover for that. But people like motorcycle and war zone stories better than Gospel sermons and that one did not sell as well. So I ran off to Africa Again. When the 15 year anniversary of the Texas ride rolled around, I thought I might re-issue it. Now I had a day job, and some spare change, so I hired and editor and a designer. Kathy Hyzy, is pretty good at the double-dare-ya thing. She challenged me to make it much bigger than a one-ride-story. She dared me not just to write about weird stuff and my courage in face of it, but to actually tell the truth about the source of my courage. The whole thing got out of control. Now I have a Summa Theologica Motorcyclica on my hands. And yeah, its got the 1998 story, and a bunch of those columns and blog posts. But it has a whole lot of stuff I have never had the nerve to write before. And now it seems to have a story line under and through all the other stories that is much more important than the stories. Its got subtext - geez, when did that start to happen? And it makes me a little nervous. But the cover's pretty, don't you think? If it gets too big, I'll be picking up my mail in Bujumura. By way of full disclosure, I used to be Peggy Senger Morrison’s editor at ReligionAndSpirituality.com, the religion news service of United Press International. Editors are real bastards. We change people’s perfectly good prose. We mess up art. Occasionally an editor will get a truly exceptional writer about whom he/she recognizes they are unworthy to edit, aside from delousing for typos and changing every instance of “that” to “which” and every instance of “which” to “that.” Peggy is a truly exceptional writer. Miracle Motors is way more than a motorcycle travelogue seen through the prism of a Quaker pastor, raised by straight-arrow parents, who tried to be a good girl and mostly succeeded. She comes with a few quirks acquired from having an extraordinary ability to really see people and the flaw of giving a crap about what happens to them. A good girl she is, but not exactly the pastor’s wife her parent’s envisioned. It is precisely those quirks that make Peggy Senger Morrison, storyteller and self-described “provacatuer of grace,” such a readable writer. She is a fully realized human being endowed with a set of empathetic feelings and the jaundiced shields required for survival and humor. She is a biker. Not a biker chick. A biker. Think of finding yourself in line next to a leather-clad motorcyclist at the Starbucks in a truck stop. The two of you sit down with your mocha fraps and she proceeds to make your jaw drop telling your about her newly adopted congregation being struck by a quadruple homicide. Or the conversations she has with God. Reading her book is like that. Along the way, we also learn a few things about the Quakers. They’re not Amish and they don’t manufacture oatmeal. She writes eloquently about the motorcycling experience and the rest of her life that transpires in and around her ministry. The bike saddle is her prayer room. Riding is where she gets most of her talking with God done. Regarding the book’s subtitle, “A Pert Near True Story,” she quotes a cowboy poet she knew who told her “pert near true" is defined as "something that is so full of truth it doesn't matter whether it actually happened or not.” Every few pages has that kind of workable truth, often rendered with great humor, and things I wish I had thought of first. She is a woman of deep and practical faith who chats up God frequently with the expectation that the conversation will not be one-sided. God’s voice doesn’t come to her through burning bushes or booming out of an offstage sub-woofer. She has trained herself to recognize the voice via her own intuition and in the words of others. A medical student from Central Africa asked her out of the blue, “When are you coming to Burundi? I need your help.” In those brief words Peggy heard God’s unique voiceprint, or the “Present Christ,” or whatever you want to call it. It was all she needed to motivate her for three trips to an African country that hadn’t seen many straight-talking, motorcycle-riding preacher women. Like maybe none. She reveals enough about herself to indicate she has been has honest in telling her story as it’s possible to be in such a book. She’s clearly not your father’s Quaker pastor. The world is full of people who can write well but have nothing to say. Conversely, there are those who see what goes on but can’t articulate it worth diddly. Peggy observes and describes life with clear eloquence. Unforced wisdom, useful and harvestable, abounds throughout. Peggy Senger Morrison is a gifted storyteller who knows jack, and has given us a book of true-life adventures tuned to a frequency appreciated, not by theologians, but by you, me and joe sixpack. This photo of Drs. Indiana and Henry Jones can stand for so many things in my life: the loving but fraught parental relationship, my relationship with my God, even my relationship with my own belief system. Sometimes my world seems to be going to hell in a hand basket, and there sits my faith in the sidecar – all smug and self-contained. Its suitcase is packed; somehow it still has an umbrella. 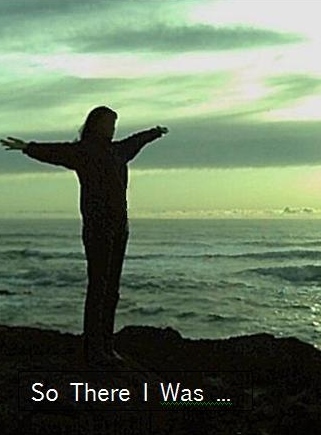 My faith is supposed to help me, but I am not sure that it is doing anything but weighing me down. It certainly can be critical at times. Yet, I know I can’t afford to lose it, and then, just when the bad gets worse, my faith can bail me out in unexpected ways. 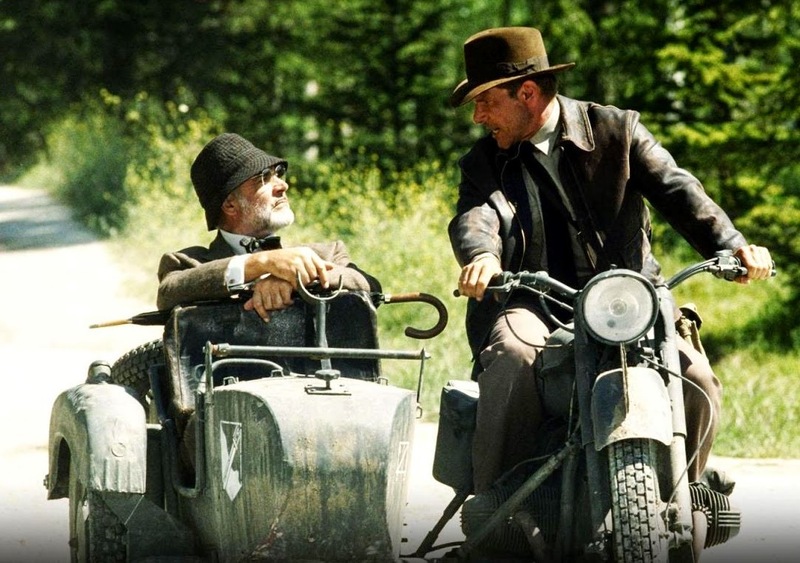 This study guide is an exploration of the sidecar. 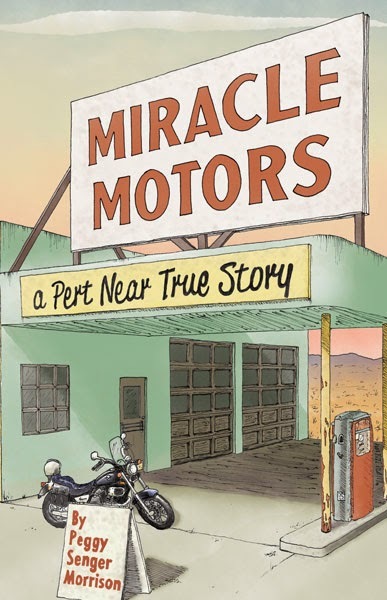 Miracle Motors: A Pert Near True Story, is a rollicking tale, but it raises many more questions than it answers. There are problems of consistency and heresy in there. If you take what I am saying seriously, you either have to do some interior re-arranging or get out the torches and pitchforks. The gospel writer said that “Jesus never spoke to the crowds without using parable, but when alone with his disciples – he explained everything.” If that is what you are hoping for in this sidecar study guide, you are going to be disappointed. And when you think about it, even with the explanations, the disciples with an all-access back stage pass to the Son of God, didn’t really appear to get it. But I don’t think that should stop us from wrestling with the realities. Sometimes you wrestle a blessing out of the process. So the goal of this study guide is two-fold. First, to lay out some of these very messy ideas – just to wrestle with. Maybe you will find some answers - maybe you won’t. I bet you will have some stories of your own to share. Eventually there will be a section of exercises. Real world suggestions for activities you can do to encourage your own inner hero. Because nobody else is going to do it for you.